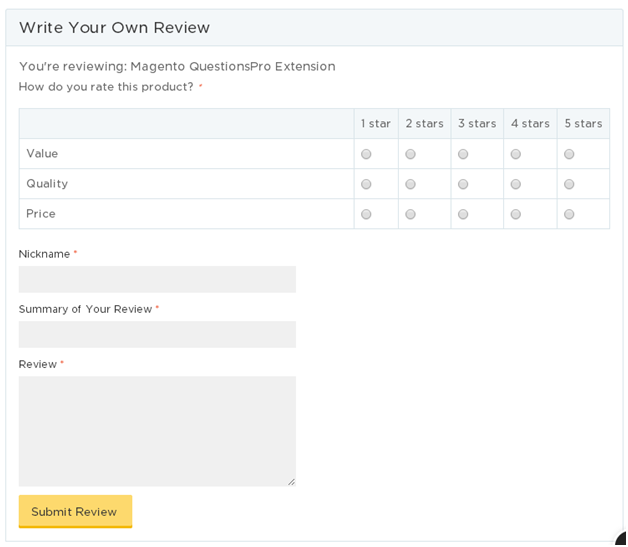 Are you in search of a way to make your Magento store popular with user generated questions? 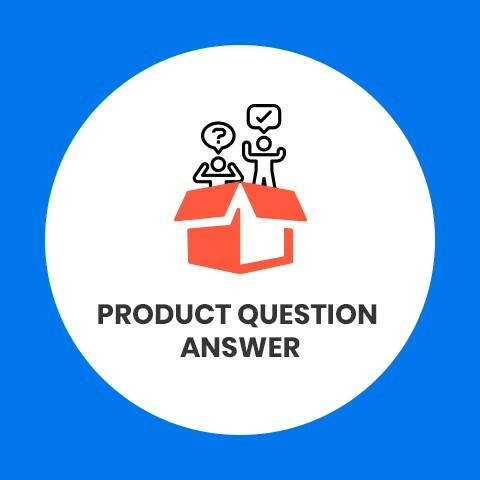 Product Question Answer is a dynamic Magento extension which permits your customers to ask product questions on the product page itself. 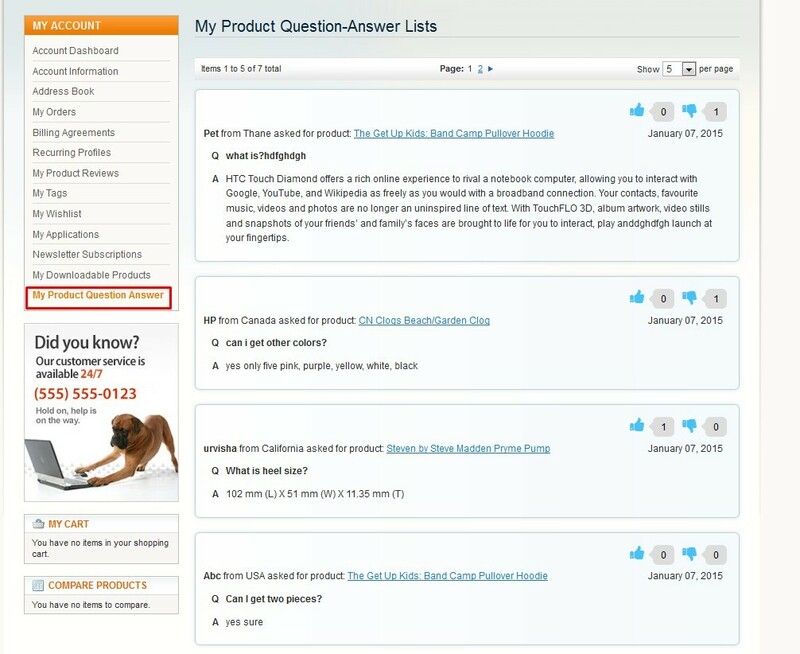 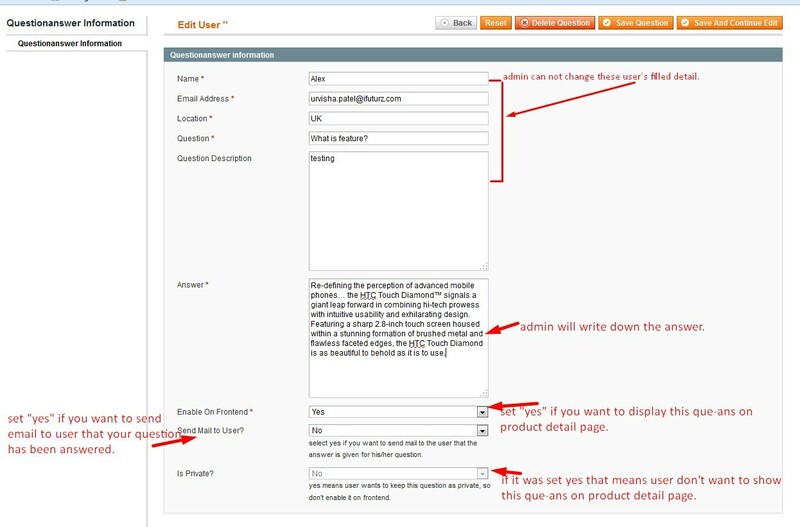 This Magento question & answer extension supports store merchants in replying customers question & discuss item specific questions with them in depth. 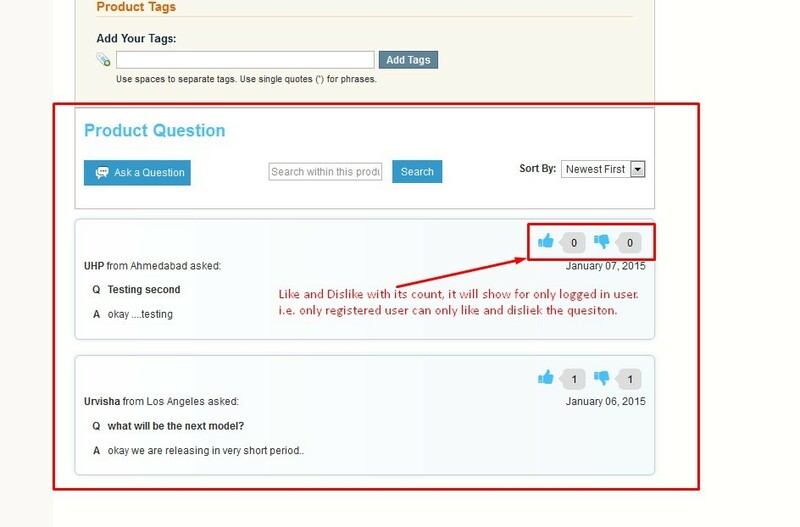 All the answered questions turn out to be a landing page for enhanced SEO rankings. 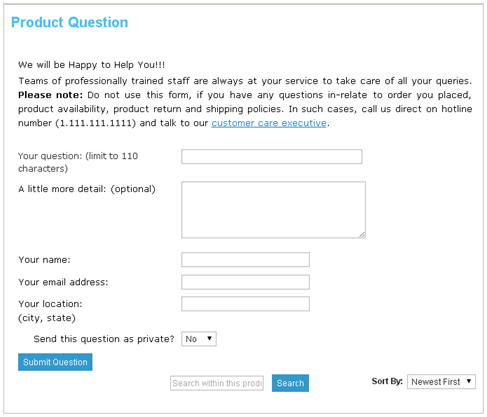 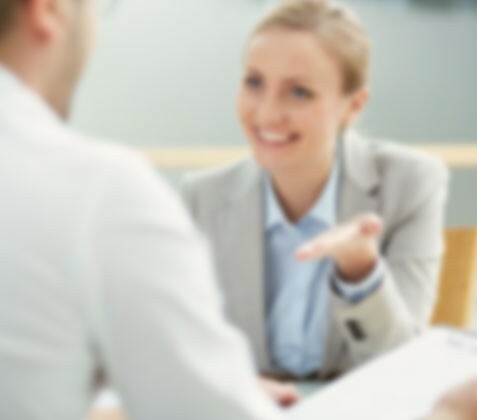 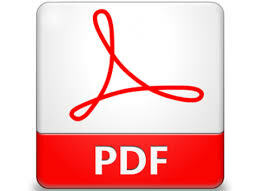 Furthermore, these FAQ's assist new customers to know more about the product before their purchase. This 100% open source Magento extension "Product Question Answer" provides doubtlessly an excellent way to establish a reliable relations with your prospective customers giving them the possibility to ask questions about any product available in your store! 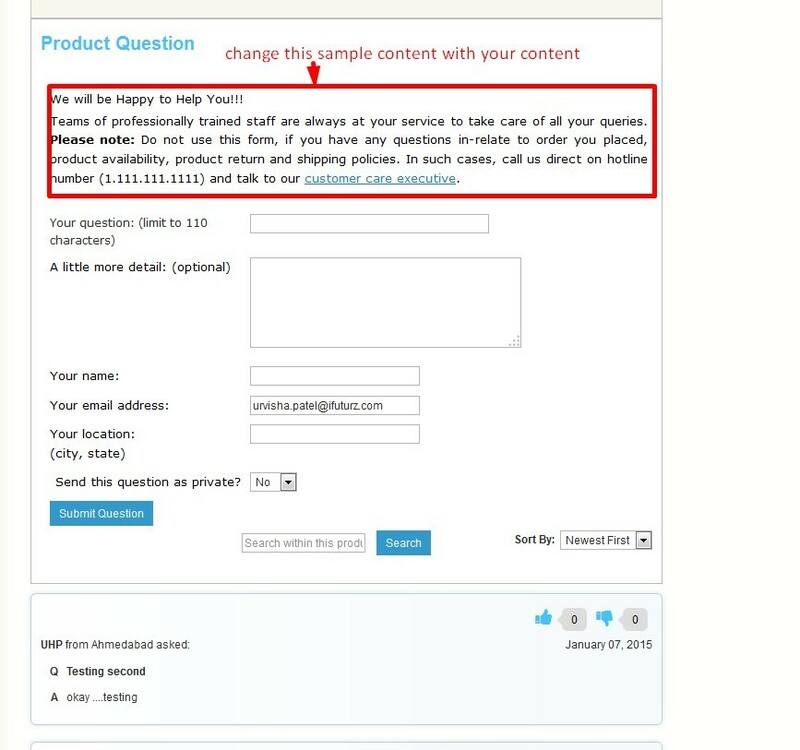 Private questions will be answered via email only and won't be displayed in the front end. 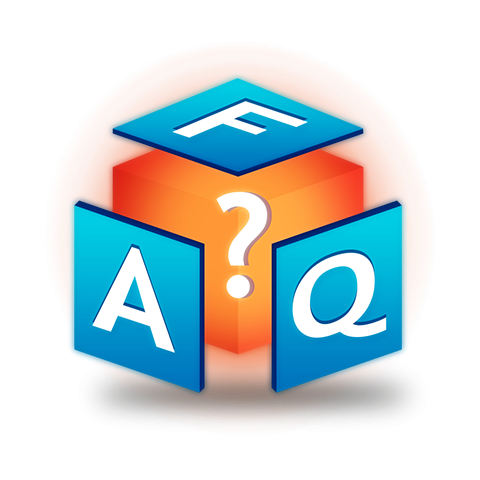 Sort the question-answers by "Newest First" and "Oldest First"